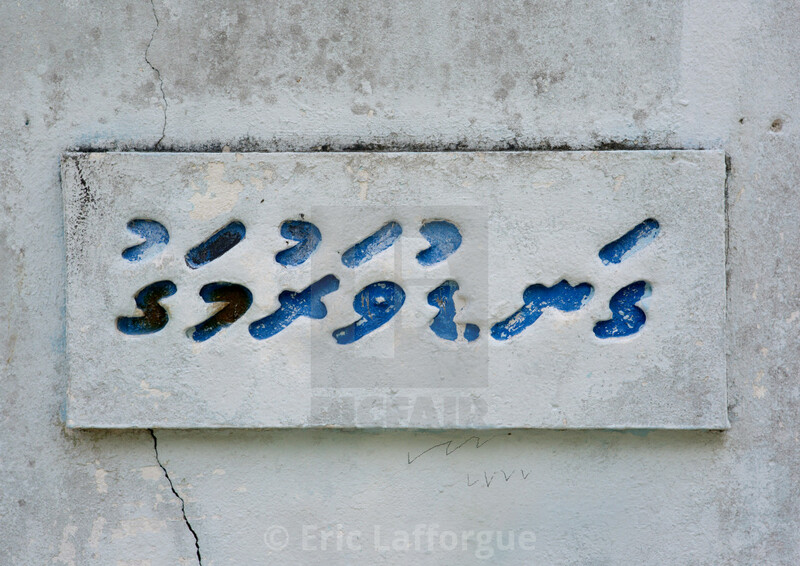 Thaana, the script of the Maldives in the Indian Ocean, is probably the only script in the world to have been ousted in a linguistic coup, only to return in triumph after two years in exile. It is also probably the first, but almost certainly not the last script to be threatened by global warming. Thaana, which seems to have been invented in the eighteenth century, is unique in other respects, too. For one thing, its letters are based on numbers — but numbers from two different number systems. The first nine letters (h–v) are derived from the Arabic numerals, whereas the next nine (m–d) were the local Indic numerals. The remaining letters for loanwords (z–ch) and Arabic transliteration are adapted from native consonants, with the exception of y, which is of unknown origin. The Thaana alphabet doesn’t follow the alphabetical order of other Indic scripts or of the Arabic script. There is no apparent logic to the order; it has even been suggested this was an attempt to keep it secret. The script was originally used primarily to write magical incantations, including Arabic quotations, written from right to left. 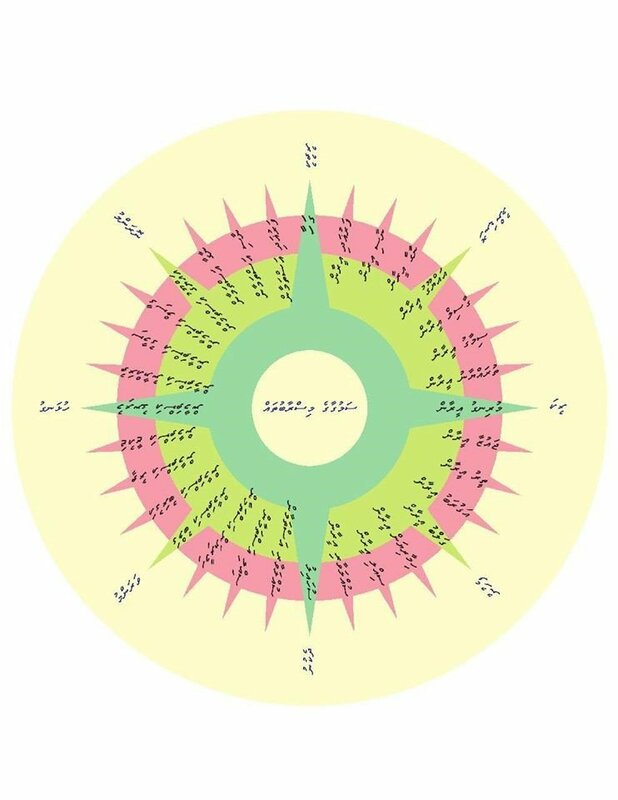 It’s presumed that learned Maldivians, all well versed in sorcery, saw the advantages of writing in this simplified hidden script, and Thaana was gradually adopted for everyday use. Thaana grew in popularity also because of the support of Sultan Muhammad Thakurufaanu who is credited with emancipating the country from Portuguese rule in 1573. 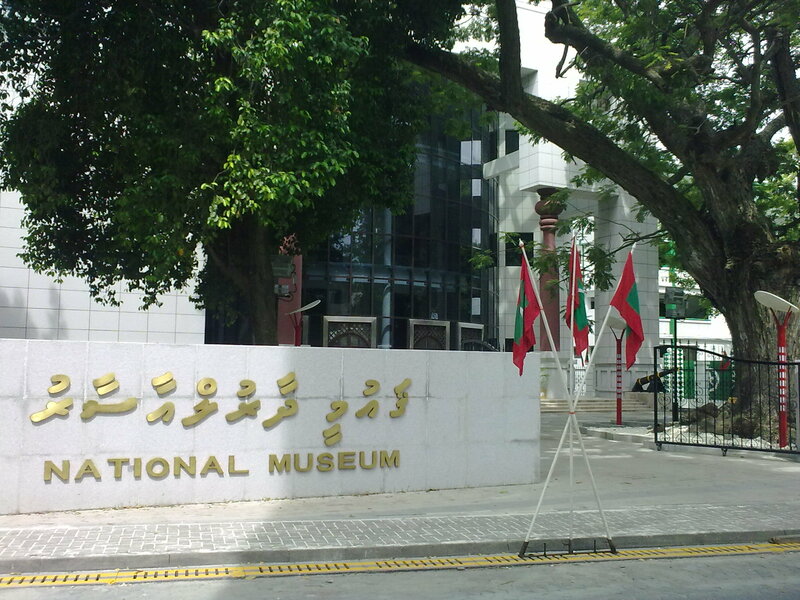 Thaana became the visual embodiment of a nationalistic reform movement determined that the country should not be subject to foreign occupation again. Modern invasions and occupations, however, tend to be economic and technological, and can be just as lethal. When telex machines were introduced to the islands in the 1970s, they operated in the Latin alphabet. 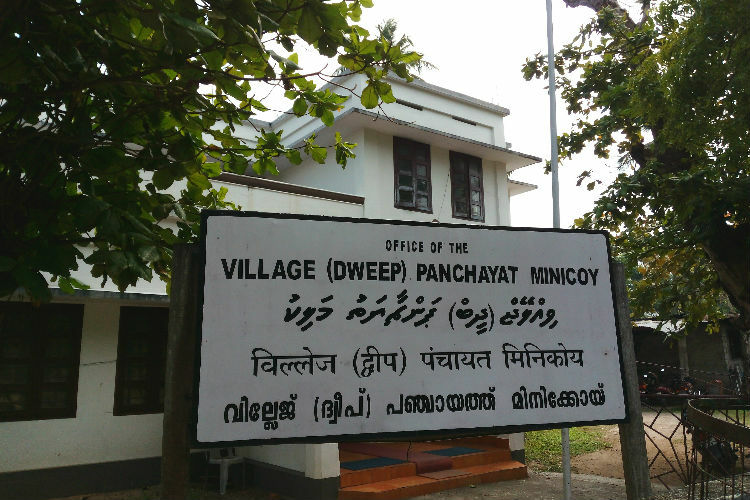 A hasty Latinization was created, approved and implemented in 1976, even though the Latin alphabet ignored many features of Maldivian spoken language. Booklets were printed and dispatched to all atoll and island offices, as well as schools and merchant liners. 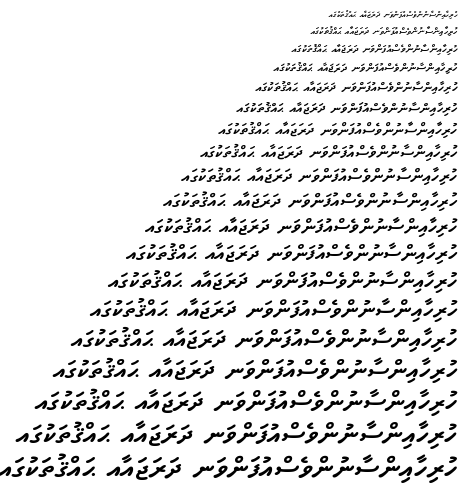 The Thaana script, it seemed, was doomed. Yet when the new president, Maumoon Abdul Gayoom, took office in 1978, Thaana was welcomed back, and according to one source, literacy in the script is now above 95%. 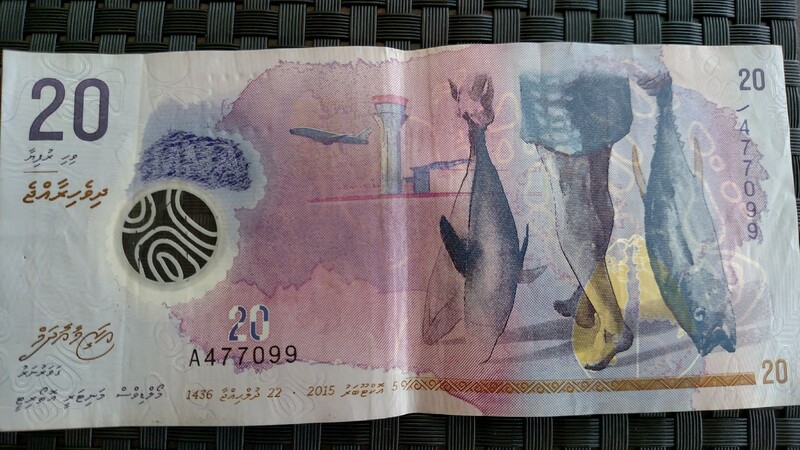 The very fact that the islands’ government could unilaterally implement a Latin script, plus the fact that Thaana is anything but international, makes Thaana simultaneously (a) the standard usage of 300,000 people in the Maldives and (b) a potentially endangered alphabet — not least because the islands themselves are endangered. In 2009, the president of Maldives, Mohammed Nasheed, held a cabinet meeting underwater in scuba gear to raise awareness of rising sea levels.